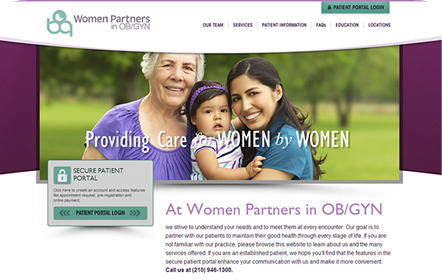 Women Partners in OB/GYN in San Antonio, Texas, has been providing the highest-quality gyncological care to women since 1985. Their main office is currently located in Stone Oak, with a second office in Schertz, Texas. 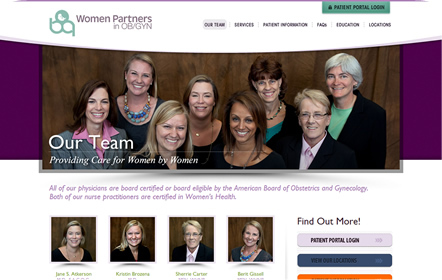 Their practice is entirely owned and operated by women and are always looking for the best, most practical treatments for their patients. 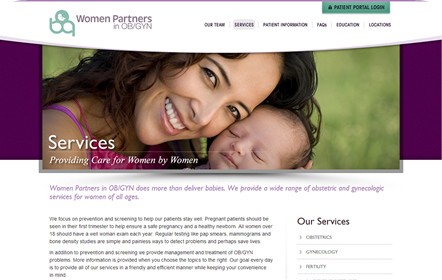 Their previous website was very outdated and difficult to navigate. 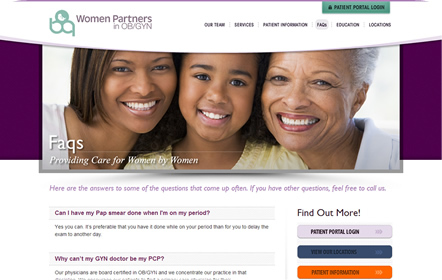 Finding information was a hassle, especially when trying to find relevant information about treatments or medical advice. We needed to come up with a design that integrated both form and function with an organized and inviting, personable design. 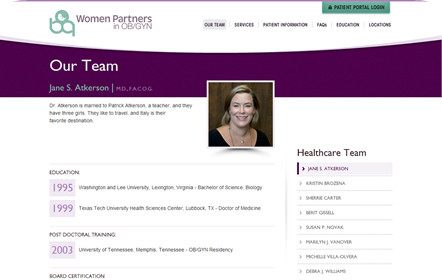 With a royal purple as our main color, we created an entirely new website that added a human touch to a medical website. 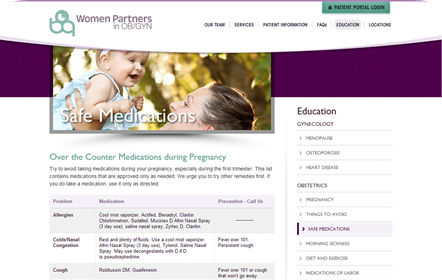 Now, all current and future patients can find a variety of information by simply going to a main navigation page and then navigating to a subcategory. 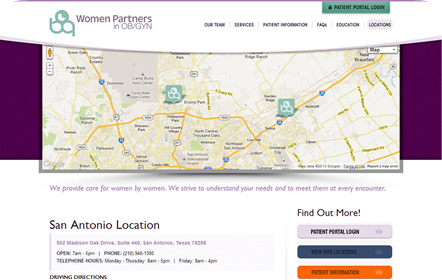 The Locations page of Women Partners in OB/GYN includes a large Google map as a header, with custom icons for each of the OB/GYN practices’ locations.